Well I know it is indeed a very stupid question to ask, but to be honest, this is the only thing that makes a person realize that, he needs to save money. A famous proverb says “a penny saved is a penny earned”. Savings help us during our odd times and sudden emergencies. Saving act as a strong pillar in ones life which provides full support in times of crisis. Savings help us to avoid debt and plan a healthy future. It sounds simple but is exactly opposite to what it sounds when it comes to implication and achieving of a savings plan, but this task helps you to prepare a good financial future for yourself. Only the thought of saving money won’t help, you need to bring that thought into reality by following some rules. Most people put off starting a savings plan because it is difficult to balance the short-term loss of spending money with its more ambiguous long-term value. As most will (eventually) agree, however, it is an indisputably good idea to start saving from your very first paycheck. Savings prepare you for emergencies and debt, as well as such future expenses as your children’s education and their possible subsequent quarter-life crises. Starting early also ensures a larger savings pool later, while grounding you in good financial habits. Begin by constructing a time frame—let’s say monthly—through which you plan to save. Next, estimate your total expenditure and subtract it from your total income. The former can be difficult to pinpoint, so try to come up with an average. The surplus difference between them is the amount you can save. It is advisable to keep a record of you budget so that you can track your finances. 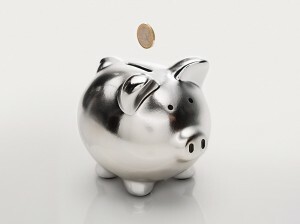 A good savings plan must include a basic outline of the methods through which you will be saving: set specific monetary goals, including how much you will have to set aside to reach the goals within a certain timeframe; keep track of where your money is going and coming from; invest so that your savings grow; and look into different strategies that can help you save more and more efficiently. Opening a savings account is a good idea. In addition to being secure and convenient, some accounts even help you build your savings. Some examples are high-yield, money market and online savings accounts. Do look into the monthly fees, interest rates, minimum balance requirements and accessibility of each option. Banks also provide interests on saving accounts, the percentage of interest earned on saving account may not sound much to you but if you look at it in a long term perspective it does make a little difference. This is a very personal step, but some general suggestions will help you get into the mindset of cutting expenses: eat out less; switch expensive brand-name products, such as Starbucks coffee, for cheaper alternatives; eliminate unnecessary expenses; and invest in energy-efficient light-bulbs. Debt is an obvious barrier to accumulating savings. To turn things around, begin with the following steps: pay off your credit card debts; save money specifically to pay off your debts; and show the world that you have learned a lesson from the financial crisis and do not buy things you cannot afford immediately. After a person is done with his saving strategies now its time to start bringing it into action following are few tips which will help you save a lot, so that you can stick to your planned strategies. Don’t be afraid as there are many ways to get hold on that dollar. Save energy – Become environment friendly save the natural resources, electricity by using efficient thermostat as each degree saves approx 3% of the energy cost. Avoid using excess of electricity and control your bills. Use your phone wisely – Avoid using cell phones unnecessarily, try and avail the best and the cheapest free services provided by many service providers these days by doing this you can save fortune on your telephone bills and add the saved money to your saving account. Avoid disposable commodities – Using paper napkins or disposable plates and glasses sounds convenient but they add a lot of burden, instead be a little smart and active and use the real dishes, so that you can wash them and use them again. Avoid using dryers – I know dryers sound convenient but try and keep your clothes outside for drying instead of dryers this will help you save the electricity. Shops for energy efficient goods – Always buy appliances with energy efficient stars on them they help you in saving a lot of energy and control your electricity bills. Save water – Try and save water, avoid water wastage and use buckets instead of showers. Set your washing machine on water saver mode so that less of water is wasted. Control your fuel expenses – Try and avoid taking out your car when visiting your neighbor hood, instead go for public transport or get a bike for yourself which will not only save your money on fuel but will also help you in staying fit without paying for the gym. This will help you save a lot on your gas expenses. Act as a good and honest citizen – Avoid breaking any rules or regulations around you which can cost you some big penalties, follow the law and order and abide by the country laws so that you don’t have to shell out that extra dollar for fines and penalties. Plan your weekly meals – Always plan a week ahead weather it is a party or normal meal grocery, check what is available already and what will be required, then make one big list of all the required items at once so that you can go for shopping to a mega mall and get things in a much discounted prices than what you get from the stores next doors. Use free coupons – Don’t throw away the coupons that you get in the newspapers or advertisements save them and use them when you go out for shopping. Look for sales – Try and fish out sale counters around you and keep one thing in mind stick to your list don’t just buy things because they are on sale buy those things which are on your list and also on sale. Buy in bulk – Buy things that are used on regular basis mostly groceries and other household products in bulk as they cost you les when bought in huge quantities. Always shop with full stomach – You don’t want to be lured by the fancy items in the store, which often happens if you go shopping with empty stomach. Check the bills before paying – Always check the bill details so that you know what you are paying for and can also check if you are paying for your stuff only. Avoid excessive hangouts – Eating out is always a pleasure but avoid it to some extents plan your family eat outs on weekly basis or monthly as you can save a lot of money if you eat less in restraints. Try going out for lunch instead of dinners – Having a lunch out is kind of cost efficient than dinners as many restraints are cheaper during day hours. Cook Food at home – Don’t be a lazy bum and start coking dishes at home rather than ordering them from outside this will cut the food cost to half of what you’ll be paying in the restraint. Don’t waste food – Whenever you go out for dinners or lunch never leave the leftovers instead pack them and bring them home so that you can munch on them later. Don’t be a shopaholic – Avoid going shopping for new clothes just for the sake of shopping. Try and wait for the end season sales to avoid extra spending. Avoid loans and debts – People often fall for prey by going for hefty car loans or credit card debts which often land them into huge tax debts so always try and avoid as much you can. Buy a car when you can buy it on straight payments by this way you can save a lot on finance charges and taxes. Promote Carpooling – It will help you save lot of money on fuel expenses and also it will lower the carbon foot print of your family. You will have to drive less and you won’t feel stressed because of that heavy traffic. Quite smoking and Alcohol – It will not only improve your health but also save you a lot of money. If you quit then you also won’t have to buy free drinks for your friends. Use public transport – Save yourself from spending money on car fuel, if you can manage in a metro train or a bus. There’s no doubt that finances can be off-putting—terrifying, in some cases. But everyone has savings goals, whether they are envisioned as a fat bank statement or a chauffeured retirement. There is no reason each and every single person can’t start saving. While the process may take some lifestyle adjustments, these steps will help you make the changes and take you closer to reaching your savings goals. Honestly, I’m an impulsive buyer sometimes… I can’t help it. but then I realized I need to start saving.. Starting with the weekly groceries. Coupons are really helpful, making a list and buying in bulk. These are great ways to save as well. Excellent post, after a long time I have read something worthwhile related to saving money. I’m a big spender and most often I end up purchasing things which I don’t even need, which caused me lot of wastage of money. So, for those who are big spenders like me. Take the smart advice and Don’t carry credit card when you go shopping. Only keep the cash required to purchase the goods. It will save you lot of money which you will realize later. Well Saving is not my strengths but these tips have opened my my a little bit and I will consider few things from this article and let’s see how it goes then. Kudos to you! I hadn’t thoghut of that! Men are really bad at saving money, I know the fact because I have seen my husband for years and no matter what he does he just cannot save any money. Maybe I would recommend him to read few things about importance of saving money for the future. This article was a good read too. Thank you for sharing great tips on saving money. I guess I will have to cut down my hangouts, it’s been causing me lot of money drain in booze and partying. I need to save money now. This is a nice list. I agree that people do not start early enough. It is so important to have a budget so that you can properly allocate toward your savings. Thanks for sharing. I’m not quite sure how to say this; you made it extreelmy easy for me! I was impressed with the way you expressed your thoughts about How To Save Money Everyday.